You can use a row counter - sometimes it is enough, if you can see easily, you are in Chart C, and you only have to know in which row. Of course in this case you might not use this row counter for any other project. There is a lot out there, I didn’t tried to much. My favourite is the County Plus. You can join this app to the Ravulous, and also use from there. You can have more projects parallel. 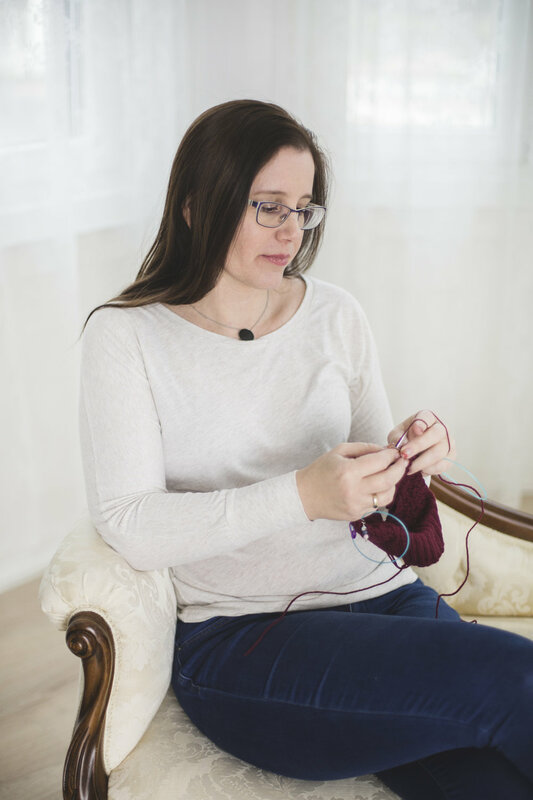 You can set up, how many rows are in a repeat, so you can see: total rows, where are you in a repeat, and how many repeats is knitted. You can add additional counter if you have to track more then one thing at the same time. On the picture you can see an imaginary sweater - knitted top down. You have raglan increases plus a pattern, which is 8 row high. We knitted 13 rows, means 6 raglan increases and we are in Row 5 of second pattern repeat. in a chart you can use a higlighter. Extra tip: if you have to repeat the chart: use more colors, starting with something lighter. Take a piece of paper, or a post it note (it’s handy because you can stick it on the pattern), or use the back, or side of the pattern. Write out the row numbers you have to knit in this section. Here I had 4 rows, then I had to have repeat Row 3-4 twice more. Or draw a little table, if you have to knit the same things lot of time. With row numbers in rows and repeats in columns. Use a post it in a chart. It is helpful also to cover the rows before/after, what helps you concentrate. I use this method always, if I have a complicated chart. I hope from now on you won’t be lost in you knitting projects! Older PostHow to stay track with your knitting projects?